Our model of short run economic fluctuations focuses on the behavior of two variables. The first variable is the economy’s output of goods and services, as measured by real GDP. The second is the average level of prices, as measured by the CPI or the GDP defoliator, Notice that output is a real variable, whereas the price level is a nominal variable. By focusing on the relationship between these two variables, we are departing from the classical assumption that real and nominal variables can be studied separably. We analyze fluctuations in the economy as a whole with the model of aggregate demand and aggregate supply, which is illustrated in Figure 2. On the vertical axis is the overall price level in the economy. 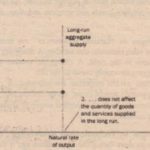 On the horizontal axis is the overall quantity of goods and services produced in the economy. 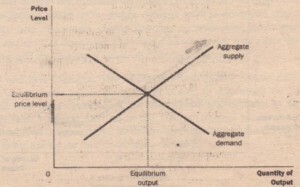 The aggregate demand curve shows the quantity of goods and services that households, firms, the government. Economists use the model of aggregate demand and aggregate supply to analyze economic fluctuations. On the vertical axis is the overall level of prices. 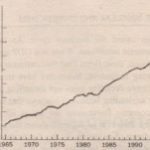 On the horizontal axis is the economy’s total output of goods and services. Output and the price level adjust to the point at which the aggregate-supply and aggregate demand curves intersect. It is tempting to view the model of aggregate demand and aggregate supply as nothing large version of the model of market demand and market supply introduced in Chapter . model is quite different. When we consider demand and supply in a particular market-ice instance-the behavior of buyers and sellers depends on the ability of resources to move from 0 to another. When the price of ice cream rises, the quantity demanded falls because buyers will incomes to buy products other than ice cream. Similarly, a higher price of ice cream raises the ti J supplied because firms that produce-ice cream can increase production by hiring workers away from other parts of the economy. This microeconomics substitution from one market to another is impossible for the economy as a whole. After all, the quantity that our model is trying to explain-real GDP-measures the total quantity of goods and services produced. in all markets. 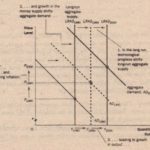 To understand why the aggregate-demand curve is downward sloping and why the aggregate-supply curve is upward sloping, we need a macroeconomic theory that explains the total quantity of goods and services demanded and the total quantity of goods and services supplied. Developing such a theory is our next task.